Finger Paints Artists Inspiration | Light Your Nails! I know I am missing in action this year, I blame my new job unfortunately. Back today for my late entry in the Untried A-Z challenge anyway. We are now to letter F and my choice was Finger Paints Artist's Inspiration, which is quite an old release from this brand. 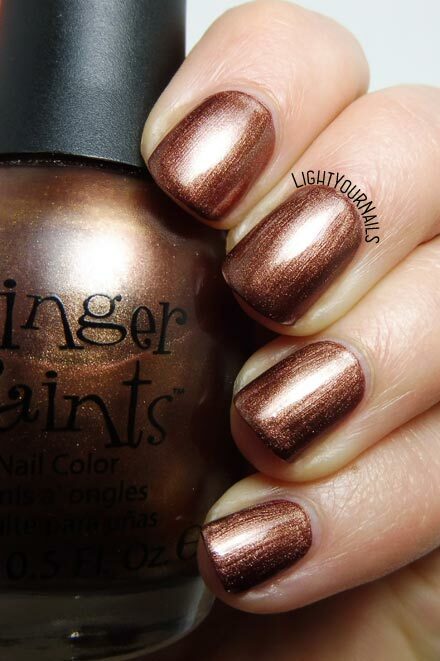 Finger Paints Artists Inspiration is a shimmer-metallic bronze nail polish. Application is a dream and the colour is very opaque. Yes, I know there are visible brushstrokes. That's typical with metallics but I must say I don't mind this time. Drying time is average. I've always loved brownish nail polish plus this one has such a great formula. I can't but love it. What do you think about my choice? Do you like bronze and brown on your nails? 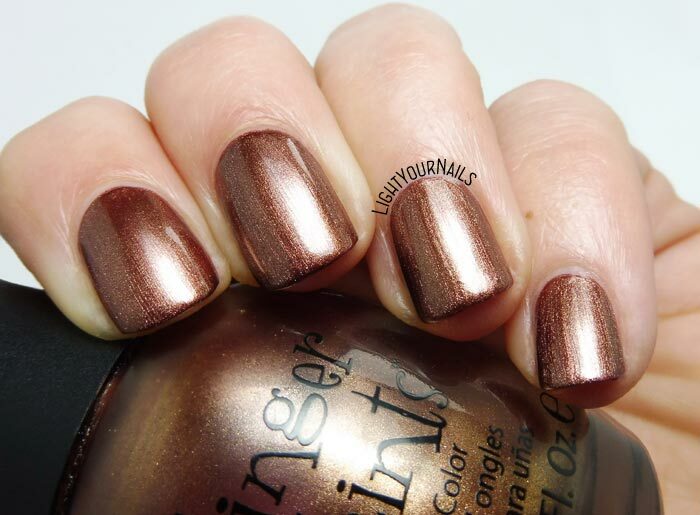 I like a lot bronze tones and even if this is a metallic one I love how it looks on your nails! Carino questo colore ma in genere io non li compro mai perché mi da idea che con la mia carnagione chiarissima ci faccia a cazzotti! Però visto sulle altre mi piace! Dici? Anche io ho la carnagione molto chiara ma le tonalità di marrone mi stanno sempre bene.